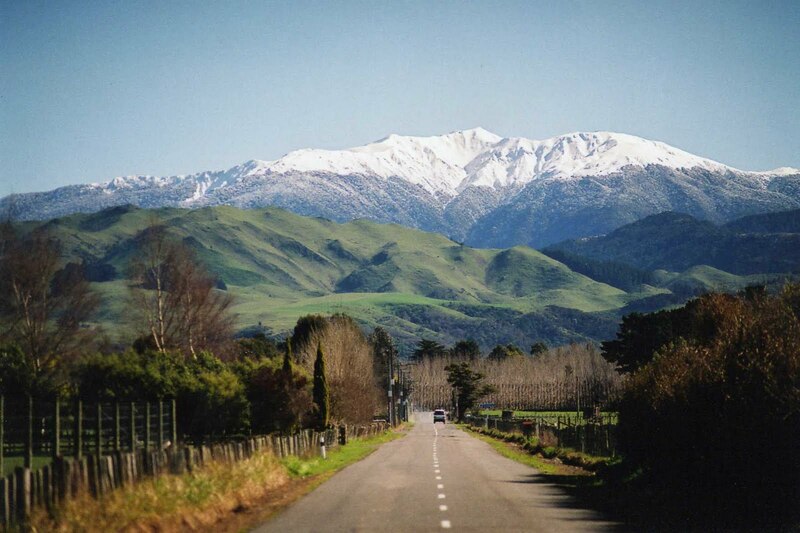 At around 40 degrees South, my home town of Masterton is not renowned for it's Winter snow. 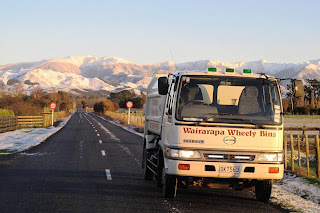 However on 25th of july this year we had heavier snow than we had had for many years. 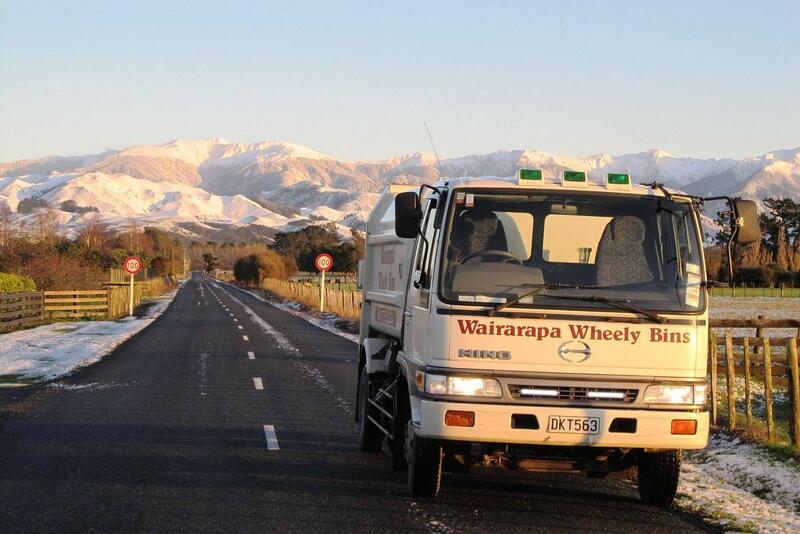 Some parts of New Zealand had the heaviest snow falls in over 70 years. This photo looking towards Mount Holdsworth would be a typical winter's day with the snow reaching down below the snow line. 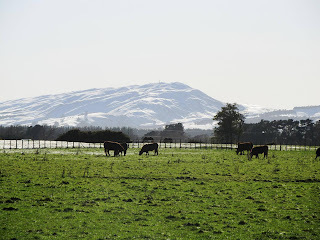 On a really cold day their would be a sprinkling of snow on the very lowest hills. This picture was taken about 3 years ago. This photo was taken on the 26th of July this year whilst out doing my wheelie bin collecting job. This is the same road as the above photo albeit with a slightly wider angled lens. As you can see the lower hills are coated and snow fell quite significantly right down here in the valley. The truck is a 1998 Hino Ranger imported from Japan as a used vehicle complete with rubbish compactor. A very nice little truck to drive and extremely manoeuvrable, but I find the deeply convexed mirrors very hard to get used to. They give a very useful wide angle of view, but make objects look much further away than they really are. 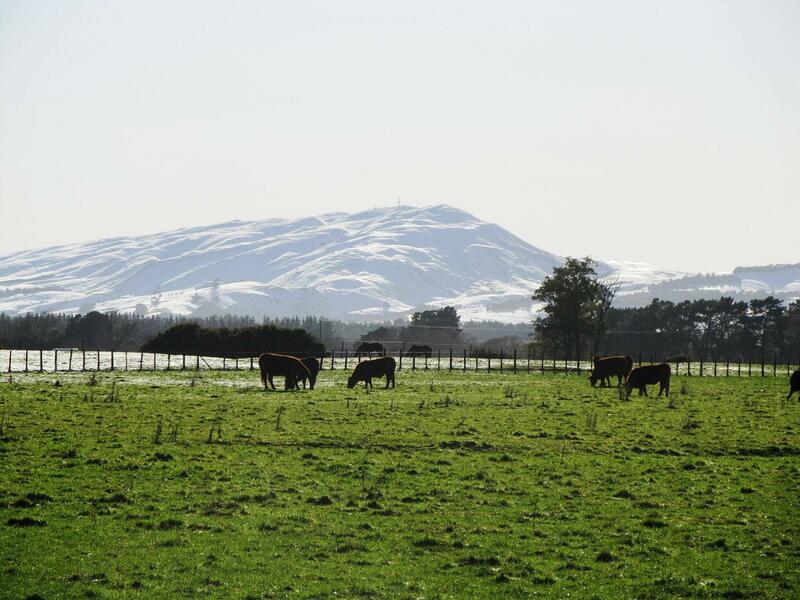 Rangitumau, North of Masterton at under 2000ft is lucky to get a sprinkling of snow near the top, but in the recent fall, was liberally coated. As you can see the snow only lasted one day and we were back to clear skies and sunshine the next. It was all very pretty, but I must say I feel sorry for those of you in countries where your cold snow-bound days last for weeks or even ,months.